"THEY'RE HERE! 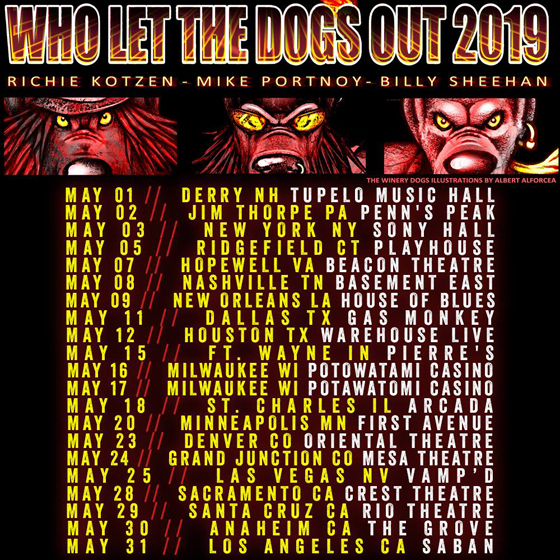 The Who Let The Dogs Out 2019 U.S. Tour has just been announced. Tickets will be soon at www.thewinerydogs.com What show do you hope to be at?